Background: OpenCorporates has come a long way in the past 6 years, and is increasingly core infrastructure for the corporate world, not to mention an essential tool for journalists, investigators, NGOs and governments. It’s time to ensure that its corporate structure reflects and safeguards that position, ensuring it will always act in the public interest, that it is protected from hostile forces (including protection against being taken over), and it can provide the positive influence the world needs. In part 1 of this series on how OpenCorporates is restructuring itself to protect its public mission we covered the reasons for doing it – particularly the need to ensure that OpenCorporates will be around for the long haul, continuing to make company data more widely available. The entities that will operate OpenCorporates and the affiliated website. This will consist of a holding company and a couple of subsidiaries and these together will do all the things that Chrinon Ltd (the current legal entity behind OpenCorporates) does – publishing OpenCorporates, employing the staff, contracting with our suppliers and clients, working with NGOs and the wider community to both advocate for free and open access to information about companies and help them use our data for the public benefit. 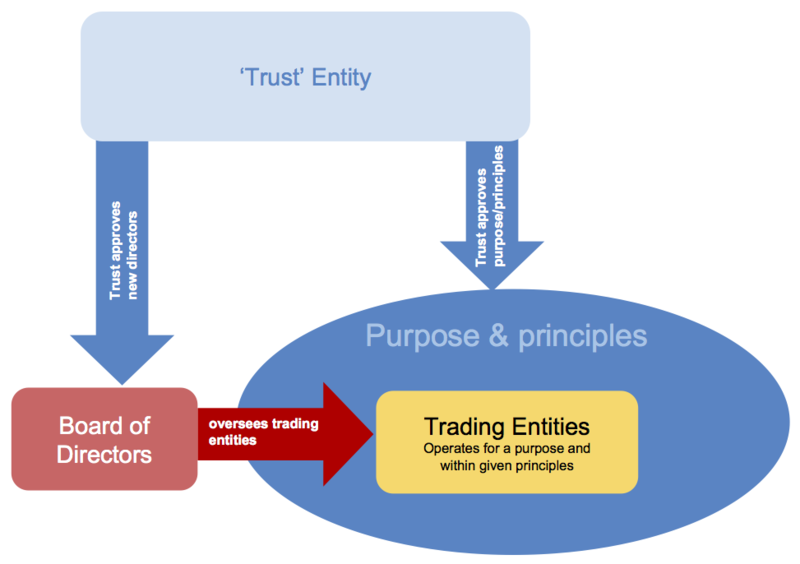 The relationship between the two entities, particularly how the Trust ensures that the OpCo sticks to the public benefit principles. The principles that each of the entities will be required to follow (and indeed, what we mean by the ‘public benefit’). We think that this structure will give the flexibility that OpenCorporates needs now, allows it to evolve as circumstances change, and at the same time ensures that it will always operate in the public benefit. Of course, the devil is in the detail, and over the coming months we’ll be reporting further on this detail, including of course the principles, and the legal mechanisms by which they will be enforced.